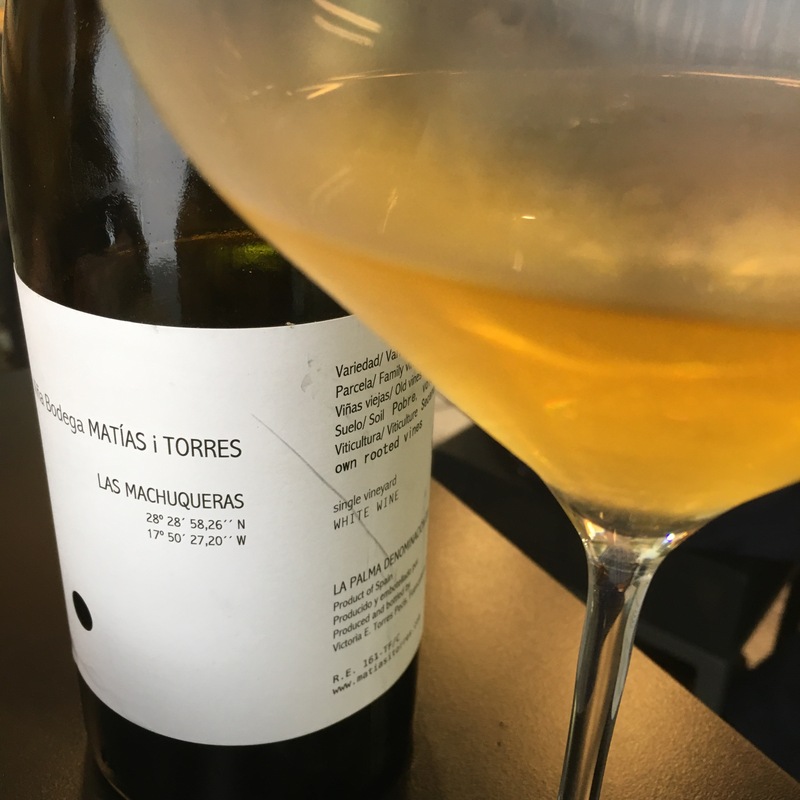 A sought after wine ever since the boys at Can Roca apparently cornered the market in recent years, I have been able to try this – and the Albillo Criollo and the Diego – thanks to David at Territorio Era. Listan blanco (aka our friend the palomino) from old vines about 250-450m above sea level on the island of La Palma in the Canary Islands: one of the vineyards with the picturesque little walls to protect the vines from the wind. So a lot of expectation and it was a very interesting wine alright. Not high acidity but just enough, and nice concentration of over-ripe apple and chemistry-set minerals. Minerals in colours – more dimensions than your standard salinity and steel. Nicely integrated too. A flavourful and complex wine.